Boogie away those winter blues with a special winter dance series inside Quincy Market’s historic Rotunda. Four nights of lessons and music help you build your skills so you can show them off on the dance floor. Hosted by our favorite dance teachers from our popular September outdoor series. The fun starts at 6:15 p.m. with a free lesson, followed by social dancing with DJs or bands. Find us upstairs in the Quincy Market Rotunda. Thursday, February 28, 6:15 p.m., Salsa lesson followed by social dance. Thursday, March 7, 6:15 p.m., Swing lesson followed by social dance. Thursday, March 21, 6:15 p.m., Salsa lesson followed by social dance. 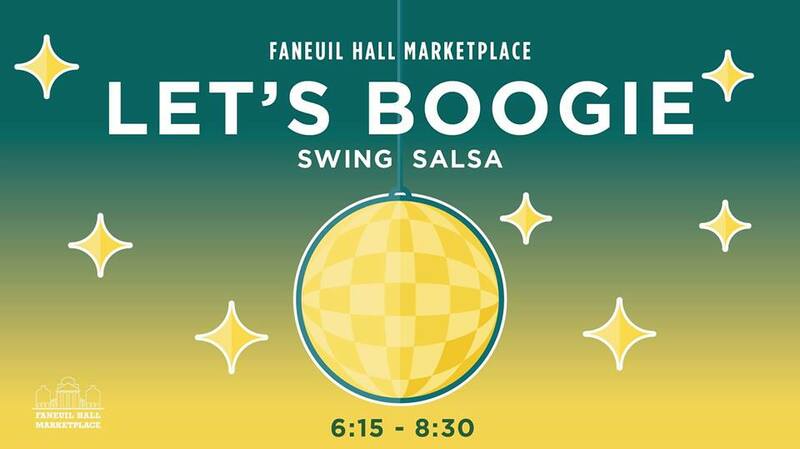 Thursday, March 28, 6:15 p.m., Swing lesson followed by social dance.